There's a fair bit of buzz around these guys at the moment and it'll only take you about a minute of listening to figure out exactly why. 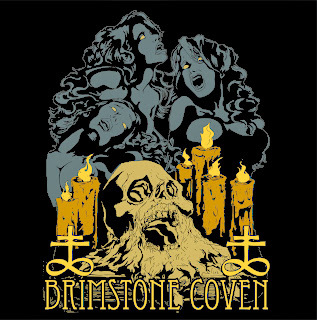 Prepare to be cast back to the true heyday of true classic rock, because Brimstone Coven absolutely ooze the stuff form every pour. In fact I've had II on rotation in my car along with about 15 other albums I've been sent this month, and every time one of their tracks kicks in I find myself checking my iPod thinking that I've accidentally dragged a big chunk of 70's rock into the playlist at some point. They've just managed to capture that whole atmosphere and feel down to a tee, to the point where they have more in common with Sir Lord Baltimore's Kingdom Come or Dust's Hard Attack, than any other album I can name from the last 30 odd years. 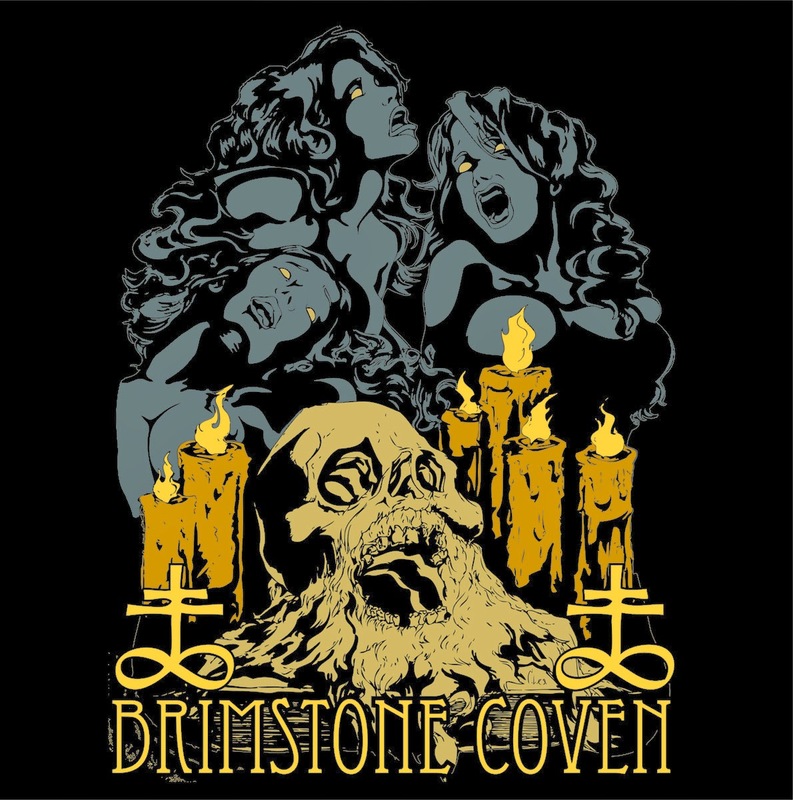 Judging the book by its cover as it were and just going from the artwork alone, your first impressions would be that they're heavily weighted towards the whole occult rock side of things. But having listened to the whole thing a good 15 times or so now, its seldom truth. There's the odd moment when tone does stray towards a Sabbath influence, and there is an evident touch of the early days of doom subtly laid in there, most notably on Lord and Master and The Folly of Faust, but on the whole its too bright to really hold too much of a comparison. It does however hit a sort of uncharted territory in many ways; a sweet spot between Grand Funk Railroad and Pentagram. I know thats a pretty weird middle ground to land on, but I guarantee that when you get to track 5, The Grave, you'll see just what I mean. It's a little eerie, its quite up beat, its pretty surprising and its utterly catchy. The whole album is an absolute corker, I bloody love it, and if you're like me and grew up on your old man's record collection I'd put damn good money on you really digging it too. You'll be able to satisfy you lust for wax too because our good friends STB Records are dropping this gem at midday (Eastern time) tomorrow! Thats about 5pm GMT, 9am Western, and god knows when, else where in the world. In their usual awesome style, you've got two beautiful copies to choose from. The Die Hard edition, limited to 50 copied and housed in a gorgeous Egyptian cotton card sleeve with gold leaf print, oh yeah they've seriously pushed the boat out for this one! Or the Sorcerer edition, limited to 125 on cyan vinyl and in a hand screen printed cover. Both versions are absolutely stunning, which ever you decide on you're a winner.